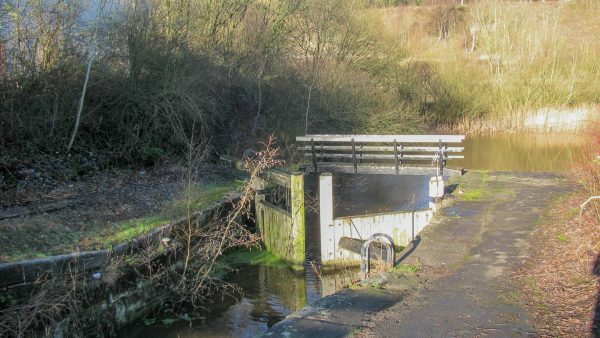 The bottom of the two lock staircase, known as the New Double Locks. These were restored some time ago and have been allowed to deteriorate but still show what is possible. The exceptionally high water levels after heavy rain mean the lock is half full even though the bottom gates are open.